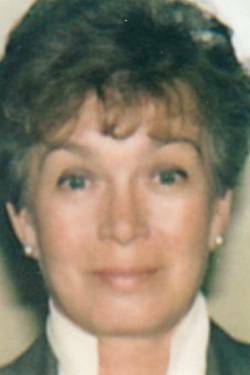 Swanton - Carol Joanne Bicknell, a resident of this area for most of her lifetime, passed away Saturday, September 23rd, 2017, at the Northwestern Medical Center. She was born in St. Albans, July 12th, 1932, the daughter of the late Carroll O. and Dorothy E (White) Bicknell. Her husband, Carl A. Tatro, died in 1999. 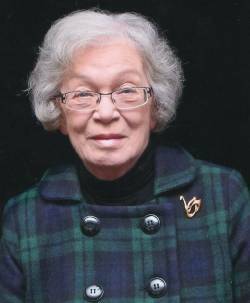 Joanne was a 1950 graduate of Bellows Free Academy in St. Albans, and a former member of St. Paul=s United Methodist Church. In her leisure, she enjoyed theater and the arts, traveling and reading. Joanne was employed by the U.S. Customs, the offices of Patrick Leahy in Washington, D.C. and the U. S. Attorney. After completing training at the Federal Law Enforcement Center in Glynco, GA she culminated her career as an officer with the I.N.S. in St. Albans. During her service, she participated in the Cuban Refugee Assistance Program at Fort Chaffee, Arkansas and the Cuban Resettlement Program at Leavenworth Penitentiary in Kansas. She was active in the Special Agricultural Workers Amnesty Program, and, after receiving training at Artesia, New Mexico, she served as an asylum officer. She received many awards, including those for meritorious achievement and outstanding performance and service. Survivors include a sister, Sandra S. Bicknell of St. Albans; son, Richard W. Smith of Ferrisburgh, three daughters and their husbands; Jennifer M. Luhmann and her former husband, Paul, of Swanton , Jamie J. and Robert Partlow of Fairfield and Paula J. and John L. Mayo of Swanton, six grandchildren, Zachary A. Sanders, Cortney Mode and her husband, Jesse, Amanda Mosher and her husband, Kevin, and Alexandra Trombley and her husband, Tyler, Laura St. Cyr and her husband, Andrew, Sarah Mayo and her significant other, Sean Robtoy, as well as nine great-grandchildren, who she adored. Joanne’s family will receive friends on Friday, September 29th, 2017, from 4:00 to 7:00 P.M. in the Heald Funeral Home, 87 South Main Street, St. Albans. A funeral service will follow at 7:00 PM with the Reverend Megan Stowe Pastor of St. Paul’s United Methodist Church officiating. Private interment will take place at the St. Albans Bay Cemetery. In lieu of flowers, memorials in Joanne’s name may be made to the Vermont Food Bank, 33 Parker Road, Barre, Vermont 05641 or at www.vtfoodbank.org. To send Joanne’s family a written expression of sympathy or share a memory, please go to her on-line guest book at www.healdfuneralhome.com.